We provide all facets of orthodontic treatment, from traditional metal braces, to aesthetic braces, lingual braces, aligners, paediatric orthodontics and adult orthodontics, and everything in between. We work with several different orthodontic systems and have our own dental laboratory and dental x-ray machine, making orthodontic treatment faster, easier and cheaper with us! The consultation is the necessary first meeting with our dental staff, in which they analyse your oral condition, and make a treatment plan for you, outlining the treatments that the dentist recommends. 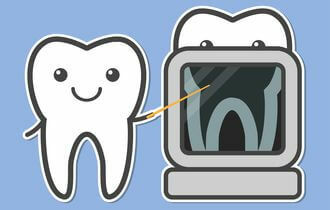 We make full panoramic x-rays, bitewings, and x-rays of single teeth as well. Many more complicated dental procedures require a dental x-ray as a prerequisite: root canal treatments, extractions, dental implants and orthodontics as well. Which braces are the best for me? This list helps you find the solution most suitable for you and your personal circumstances, needs and preferences. Braces the way you imagine them: metal braces with brackets and archwires, possibly ligatures. 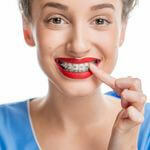 These are the kind of orthodontic braces that everyone knows about. 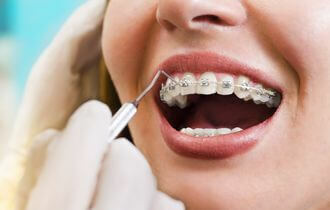 They are the most affordable kind of orthodontic braces, and have the shortest treatment time. They can also be used to correct pretty much any kind of orthodontic malocclusion, and are very versatile, but are the least comfortable and is definitely the least aesthetic kind of orthodontic treatment. Looking like a clear piece of plastic, and akin to tooth and mouth guards, orthodontic aligners are a relatively new form of orthodontry. 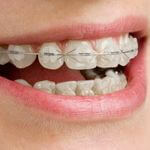 They are removable, almost completely unnoticeable and invisible, and are used very often in adult orthodontics. They can be used to treat slight malocclusions and aesthetic problems, and are one of the most comfortable kinds of orthodontic treatment. They can only be sued to correct certain kinds of malocclusions though, so you need to discuss with your dentist if clear aligners can fix the orthodontic problems that you have. The main brand of clear aligners is Invisalign®. These are traditional metal braces with a twist. They can come in with various kinds of brackets that are either tooth coloured porcelain that blend in with your teeth, or are made of sapphire crystals that are completely transparent and highly resilient. Aesthetic braces are the perfect choice for adult orthodontic, as they are both aesthetically pleasing and have all the benefits of fixed traditional braces, meaning almost all orthodontic problems can be handled with these kinds of braces. Lingual braces are traditional fixed metal braces that can be adhered to the lingual side of the teeth, meaning the side that is facing the tongue, and not the cheeks. These kinds of braces are completely invisible, as you rarely show the “backsides” of your teeth, not even when smiling, laughing or eating. Although this kind of orthodontic brace can correct all of the problems that traditional metal braces can correct, they are at a slight disadvantage because they are considerably more expensive. If you have braces, you have to attend activation appointments at your dentist. In the case of fixed braces these are monthly activation appointments. It is very important to make sure your device is functioning as needed, and tightening the device is also necessary. In the case of clear aligners at each activation session, new sets of clear aligners will be given to you, and each will be a little bit closer to the healthy arrangement of your teeth. Once your fixed braces or your last aligner has been worn for long enough, you will be done, and a retainer will be needed that will make sure that your teeth will stay in the new position. 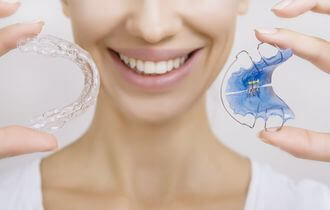 There is the fix retainer and also the portable one made by Invisalign® - Vivera aligner. If you are a parent, take care of your child's teeth from the beginning! The sooner your child begins the treatment, the sooner he/she have healthy and nice teeth.